For our website we also need to come up with ideas for merchandising. Therefore we looked through different bands such as the ones we blogged on for social media and ofcourse also Bring Me The Horizon themselves. Nowadays, bands sell merchandise to get an extra income. They dont earn as much from concert tickets or CD sales anymore since it is easier for people to stream or pirate music. When Bring Me The Horizon performed at the Rock A Field music festival here in Luxembourg, they couldn't include all of their merchandise, because there are loads of bands that are trying to sell their merchandise at a festival. Therefore, they include the most important merchandise that people are guaranteed to buy at a festival such as T-Shirts, Jumpers, Caps and with time, bands have started to sell phones cases on festivals as well, since a lot of people have smartphones nowadays. The merchandise on their website are not just the typical T-Shirt or Hoodie, but include backpacks, phone cases, watches and many other things, which you can view on their website. Fall out Boy, had quite different merchandise from Bring Me The Horizon. 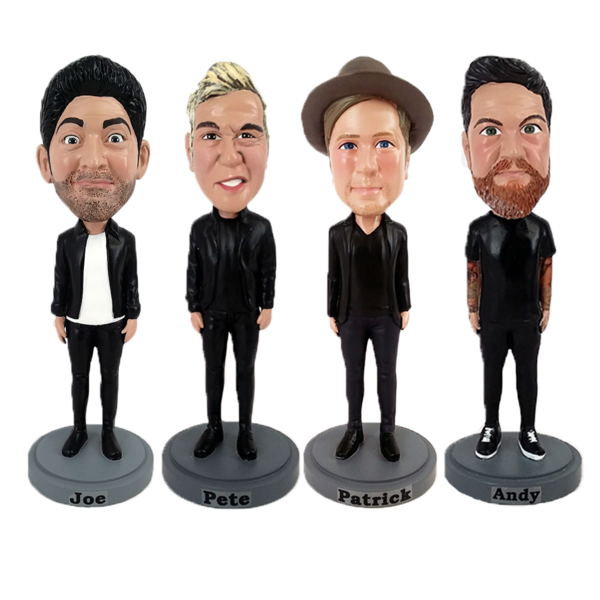 Their merchandise included these bobbleheads with the names of the band members on the small platform the bobbleheads are standing on. This can be purchased for 50$. 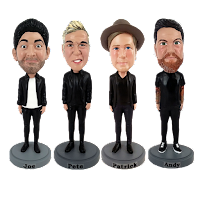 However, the band is being portrayed as quite "Hipster" with the look that they have such as the hat on Patrick's head. They could have included the band members holding guitars or having Joe sit by the drumkit on the platform. On the website you can also buy as well as other T-Shirts, jumpers and wall flags. 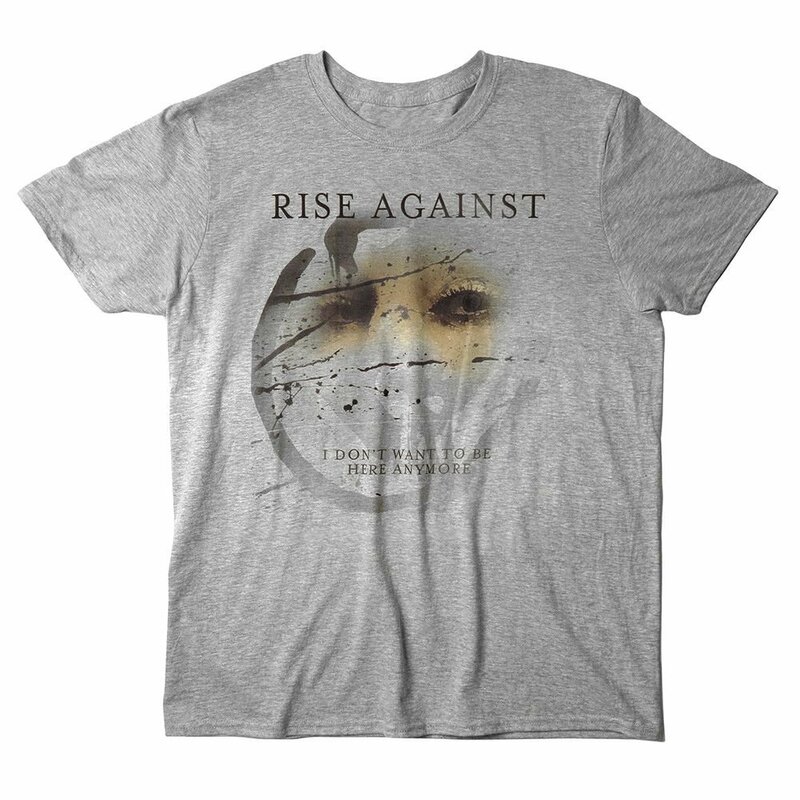 Rise Against merchandise is more focused on different types of T-Shirts, such as for example this one with the cover from Rise Against newest digipack on there. They were however also the first of the three bands where I saw the CD in the store. The two other bands had quite a lot of merchandise, but their CD's weren't included. 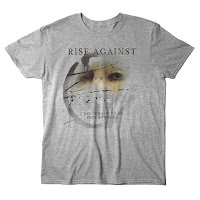 Whereas Rise Against included both CD but also Vinyl of their newest album The Black Market.